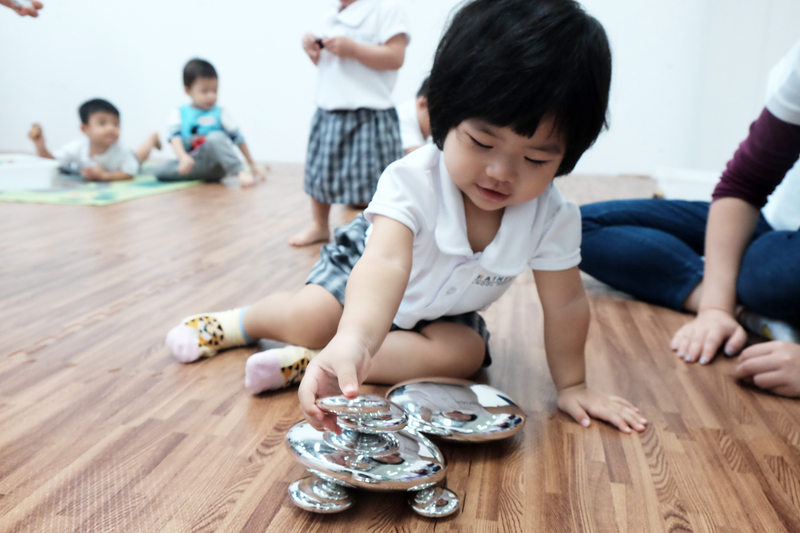 BrainFit® Kindie is a unique 3.5-hour kindergarten programme that caters to toddlers and pre-schoolers from 18 months to Kindergarten 2 levels. BrainFit® Kindie is THE ONLY thematic brain-based curriculum developed 100% based on the latest neuroscience findings of how the brain best learns. Every detail about the BrainFit® kindergarten from classroom set-up, time-table and student-teacher ratio, to the choice of curriculum themes and how lessons are delivered, is carefully considered through the latest in brain science findings. 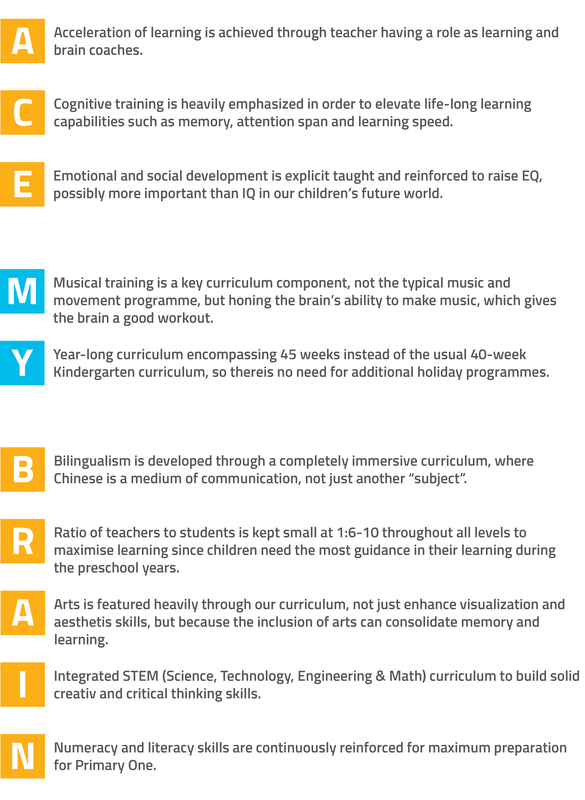 Our unique expertise in brain and learning optimisation enables us to accelerate the cognitive, learning and social-emotional development of each BrainFit® Kindie student successfully. Our goal – Given the amount of time spent at school every day, each BrainFit® Kindie student will joyfully master double or even triple the learning, not just during the preschool years but having a life-long ability to learn efficiently and successfully! We achieve this through our 10 unique “ACE MY BRAIN” school features.